There's lemon balm growing on our balcony and it's summer. Just in time for a fresh ice tea, right? 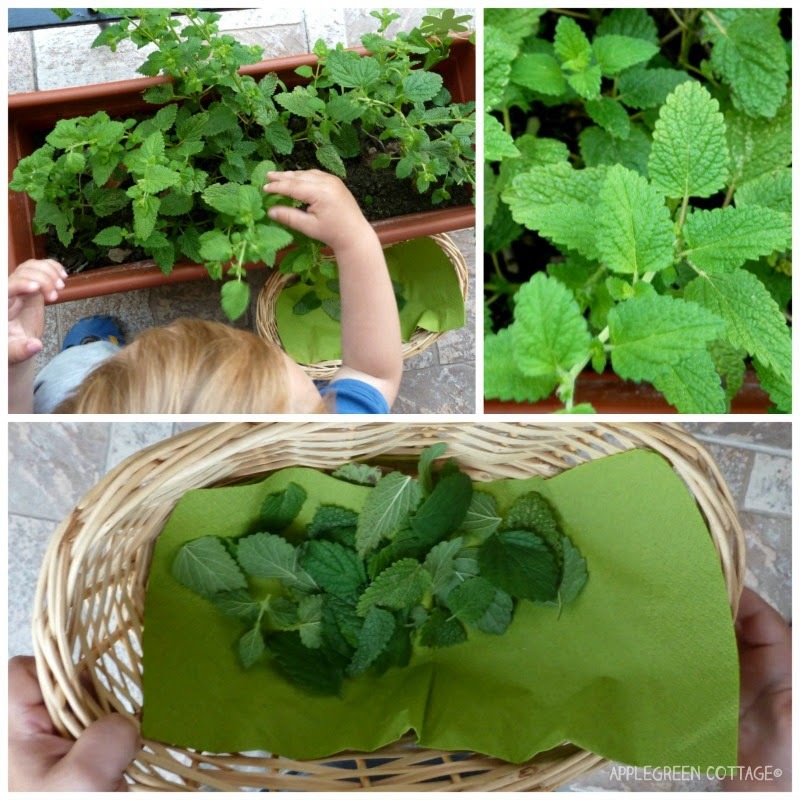 Plucking leaves from stems is a fun activity for toddlers. We had a nice afternoon, spending time together and making ice tea. Our toddler plucked a handful of lemon balm leaves for tea from the herb pot on the balcony. I showed him how to rub a leaf of lemon balm between fingers and then smell it. 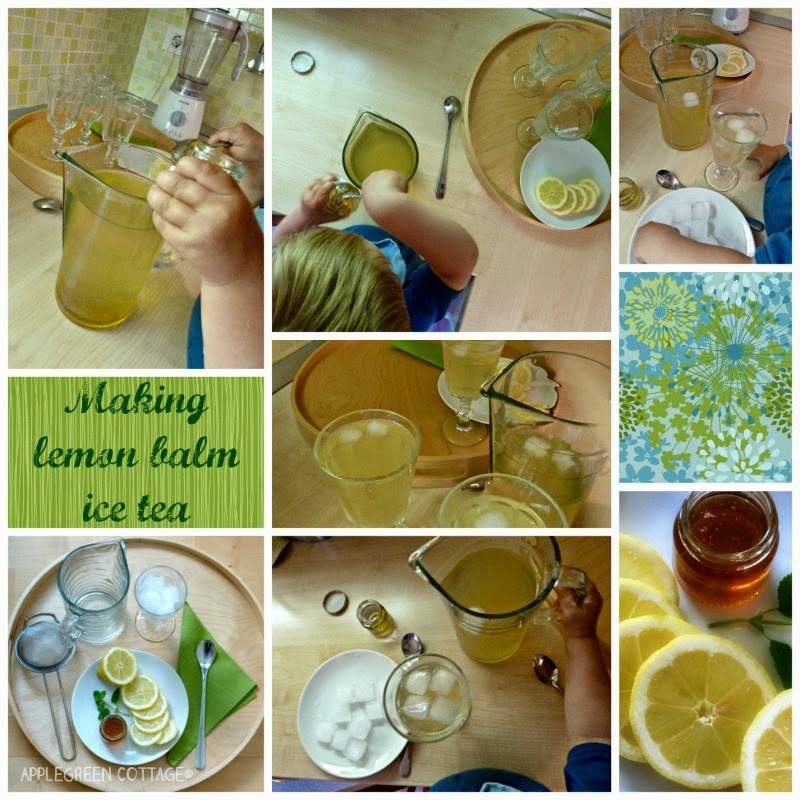 A great sensory activity! M was only an observer in the next step: boiling water and pouring it over the leaves. I removed the leaves after 10 minutes and when the tea was cold, we continued the activity together. He poured the tea into a glass pitcher, added some lemon, ice cubes and honey. I prepared those ingredients in advance for him on a tray, just because it's easier to concentrate on enjoying the time with the child if you don't need to jump around and search for items. Want More Easy How-Tos & Tips? 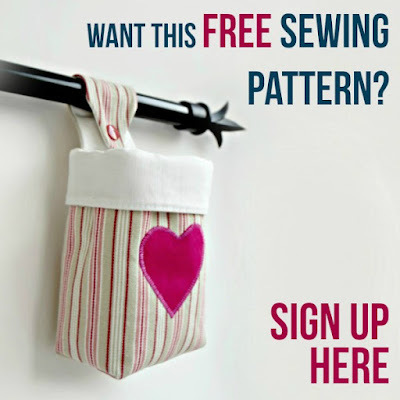 Join the newsletter and never miss out on new free patterns, printables and tutorials. If you subscribe at THIS link, you'll get the Fabric Hanging Basket Template for FREE, right now. A cute and easy-sew - give it a try!